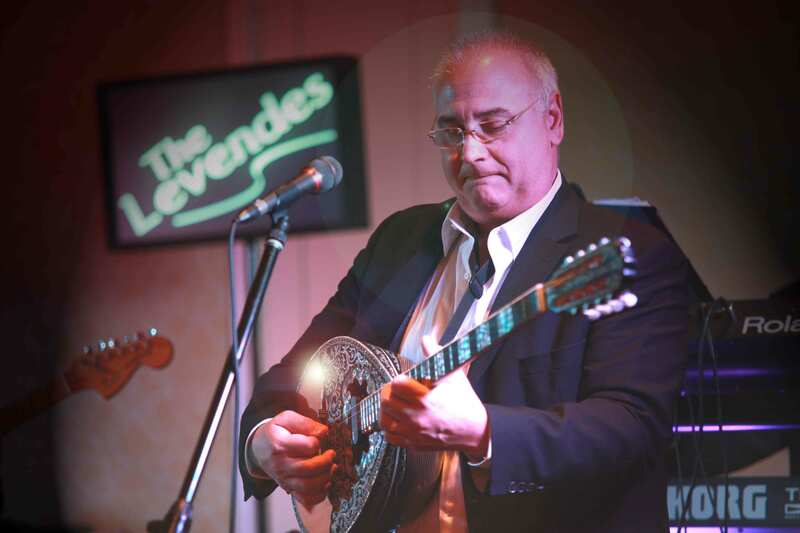 The Levendes - The BEST in Live Greek Entertainment! 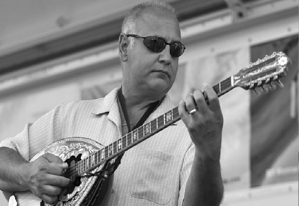 The Levendes band is one of the most dynamic Greek bands in the nation. Experience has enabled us to entertain Greeks and non-Greeks throughout the United States and Canada at any function including weddings, dances, festivals, and private parties. Please take a minute to browse our website, listen to some of our music and take a peek at our performances. 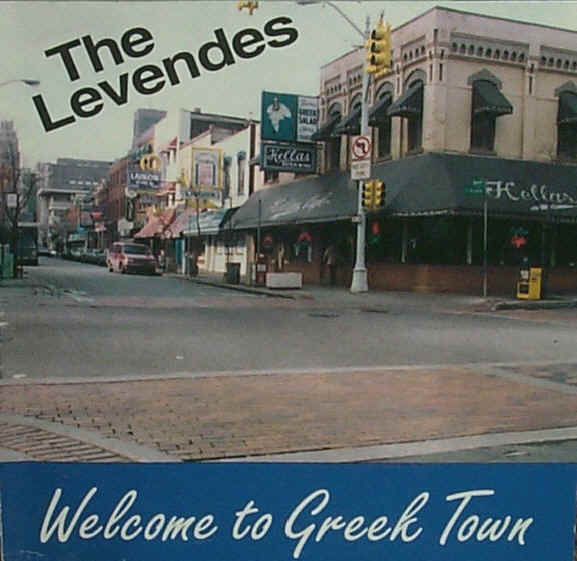 The Levendes, from Detroit Michigan, are your number one choice for live Greek music for any occassion! 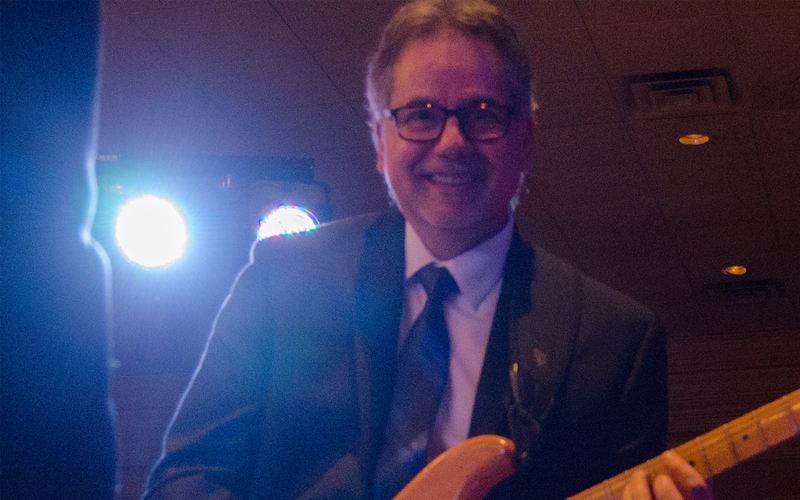 Call 248.977.5706 or 248.227.5896 or you can email us HERE to reserve your date! 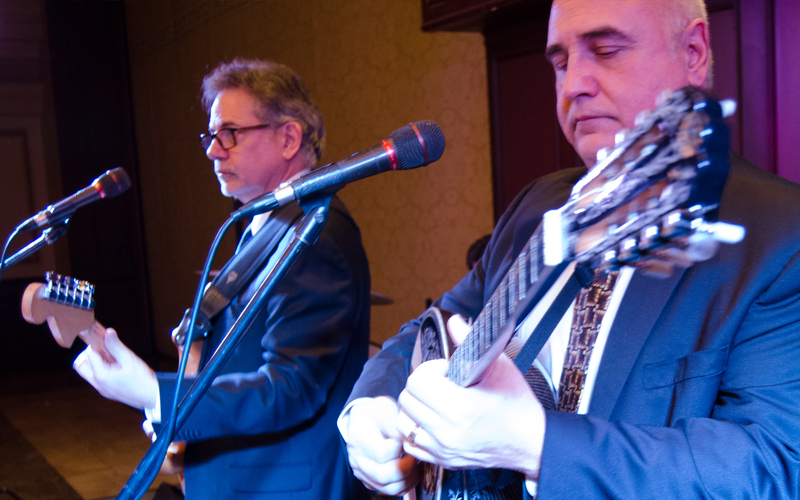 The Levendes specialize in entertaining at Greek festivals and are the premier Greek band that will captivate your Greek as well as non-Greek audience. 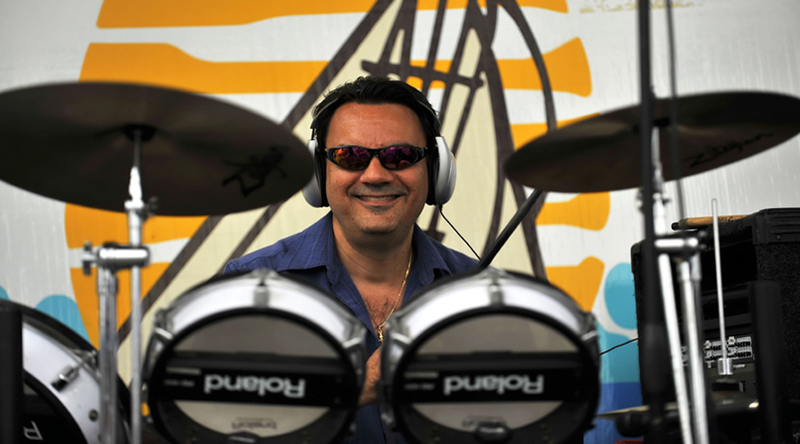 They don't just play music, they communicate your festival highlights with an unusual style that will make your audience attentive to the stage as well as the cuisine and other festival events. 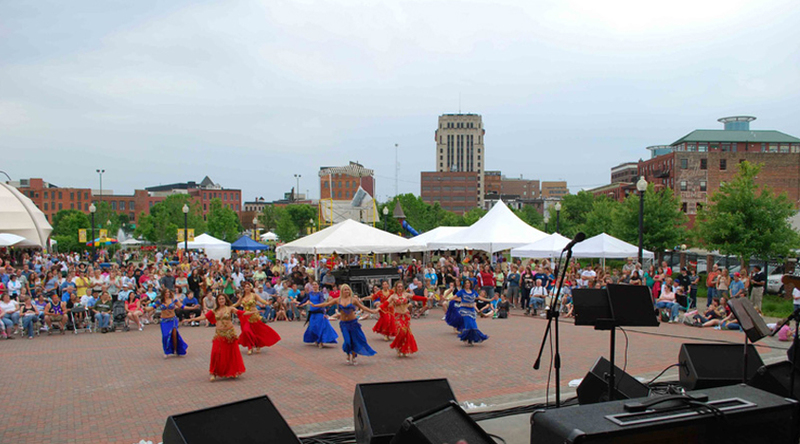 Their sound system is sized right for different venues-from small festivals to parades!!! 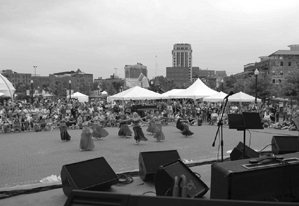 They have performed for some of the largest and most successful Greek festivals in the United States and Canada. 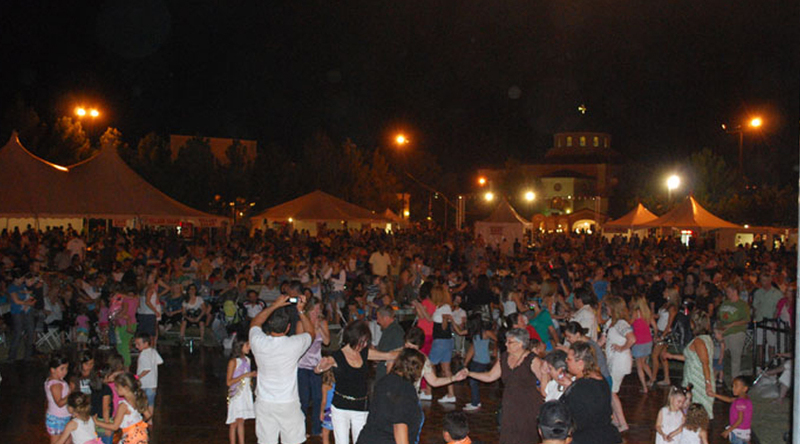 If your festival is mainly of Greek clientele, they have an extensive repertoire of dancing and listening Greek music that won't be repeated for days. 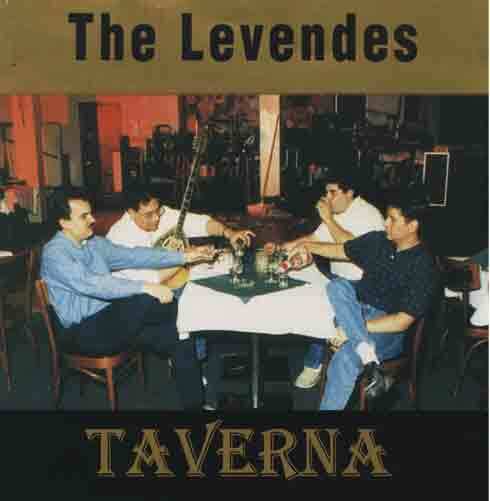 If your festival is of non-Greek clientele, The Levendes entertain with classical Greek, modern Greek, international music and American pop music done "The Levendes" way!! 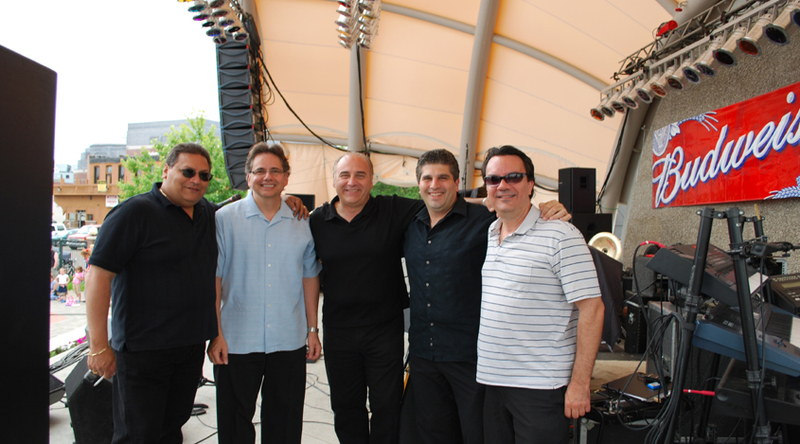 Their high energy music and 20 years of festival experience make The Levendes your first choice for a successful Greek festival! 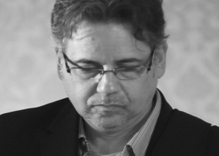 Chris Shafkalis is the solid �core� of the Levendes. 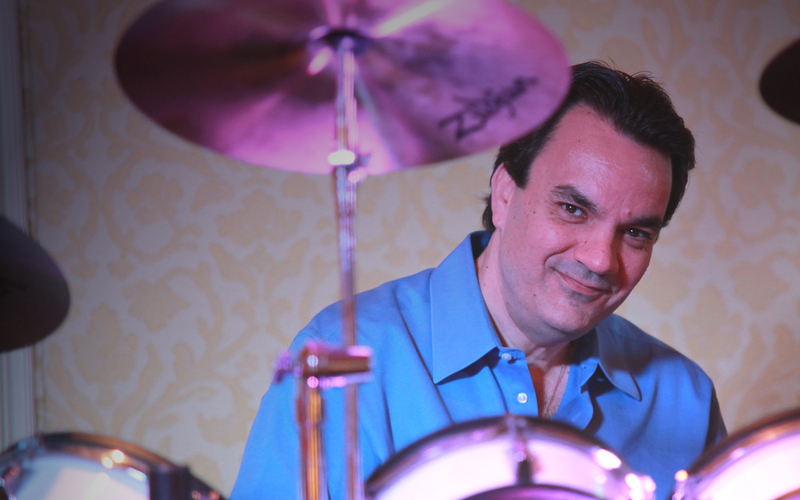 Chris started his musical career at age 13 and hasn�t ceased to excel since. 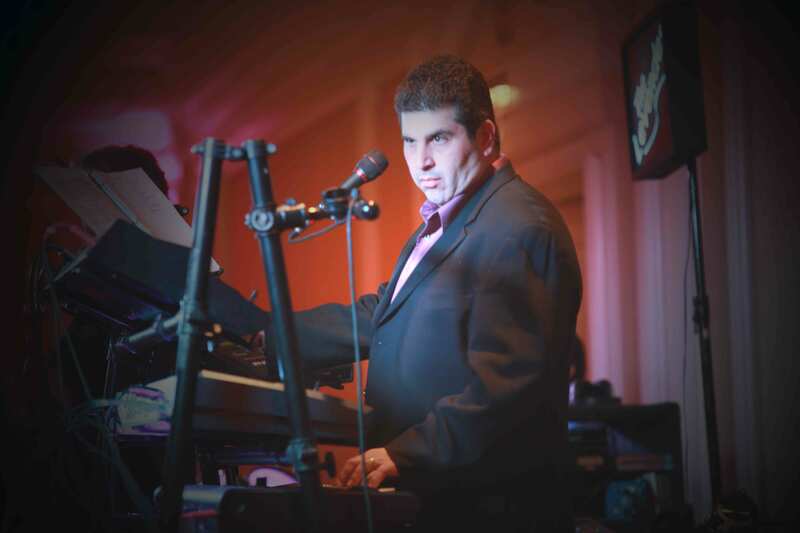 His ability on the keyboards is second to none. 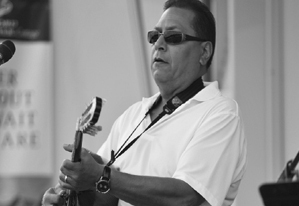 He is the musical �brains� of the group and is responsible for giving the Levendes the perfect sound. His technological and computer expertise has allowed the Levendes to capture a modern sound to even the oldest dimotika songs. 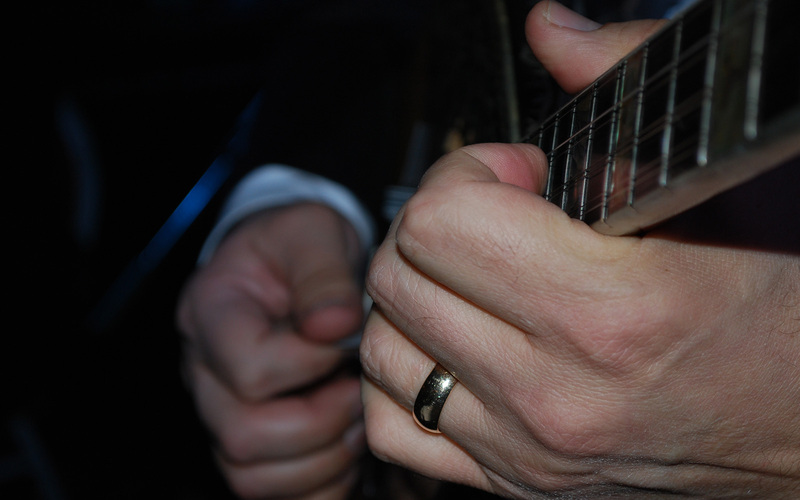 Chris is able to walk this musical "tightrope" expertly in that the original integrity of the old songs is never lost. 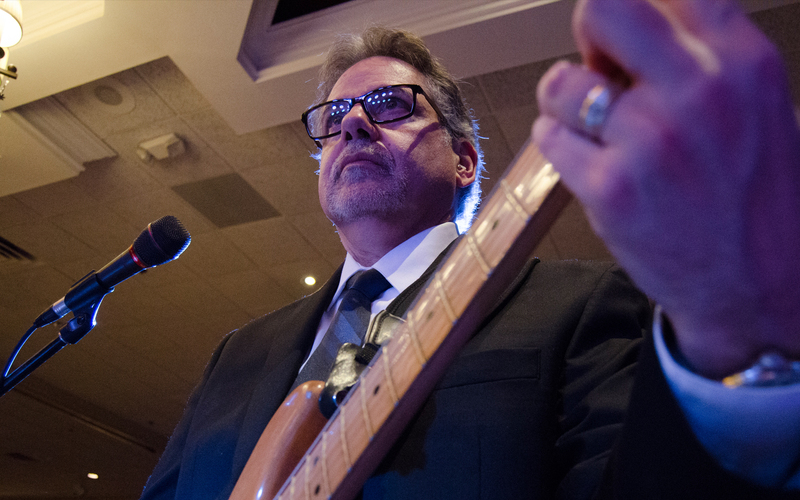 His knowledge of music allows him to play bass and keyboards together, while completing the Levendes classic 3-part harmonies-all at the same time. He could truly be a �one man band�. 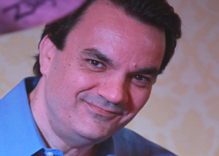 Chris is one of the band's three lead singers. 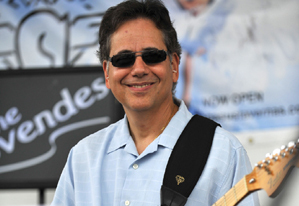 Harry Harris (originally Herouvis) is the "voice" of the Levendes and is the band spokesman. Harry adds a humorous flair to his job as master of ceremonies with the Levendes and has the ability to capture and coordinate any affair. 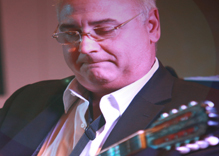 His musical education in jazz and folk guitar along with his Greek background adds spice to the traditional Greek music. 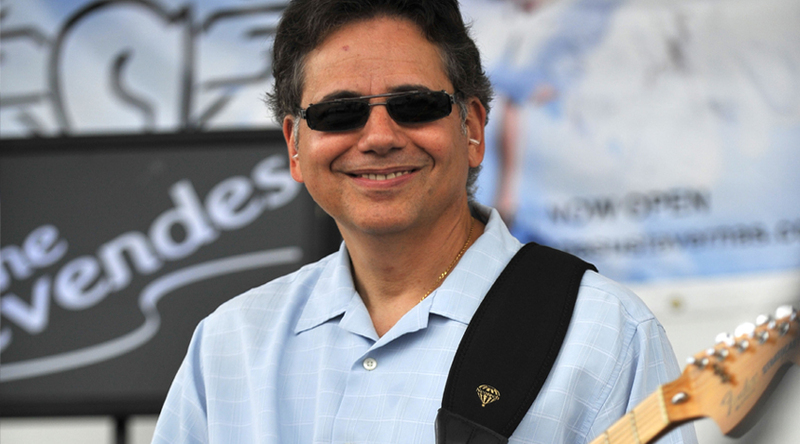 Harry�s unique ideas compliment and inspire the group�s sound. He is also a harmony vocalist. Along with Chris, Harry is a lead singer as well. Johnny Pappas Johnny, affectionately known as 'yiatre', has performed all over the U. S and Canada as well as panagiria and cruises in Greece. 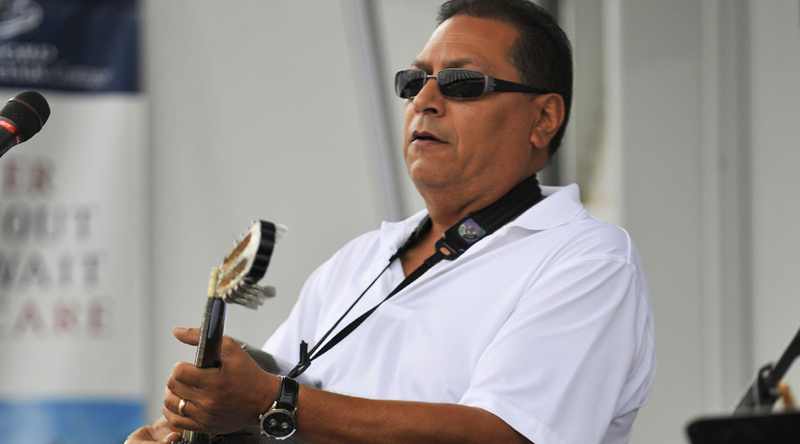 Johnny�s musical career started at the age of nine and by 12 made his first recording. 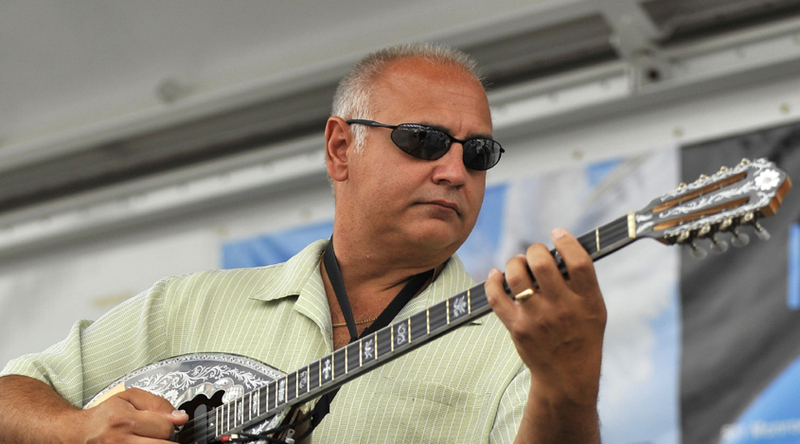 Johnny has 30 years on the bouzouki and also adds a third lead vocal to the group. 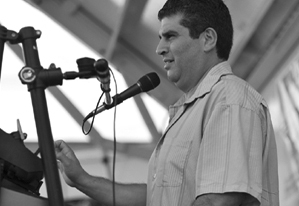 Phil Lampos rounds out the Levendes. 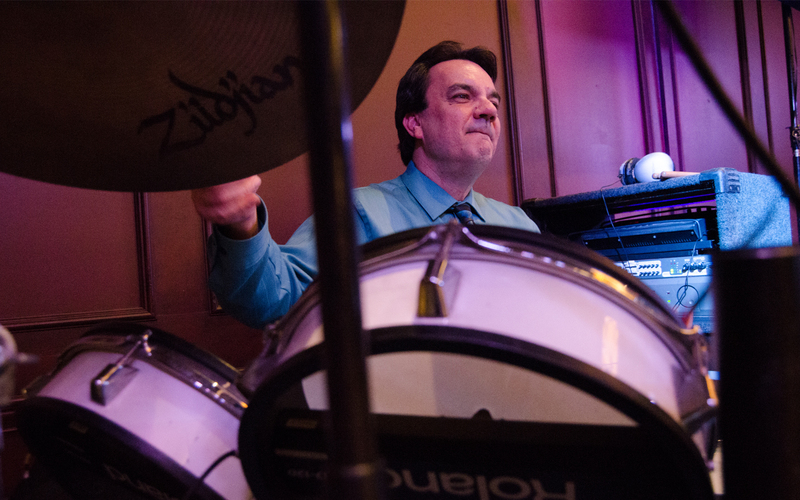 He is affectionately known as 'the money man' because you can count on Phil not to miss a beat. 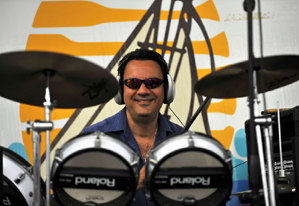 His driving drum rhythms won�t let your feet stop moving and will make you want to dance all night long. 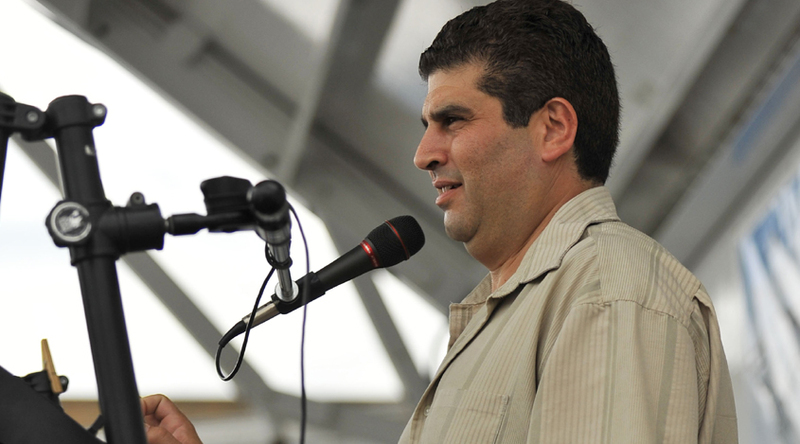 You can count on him to fill the affair with kefi and energy. 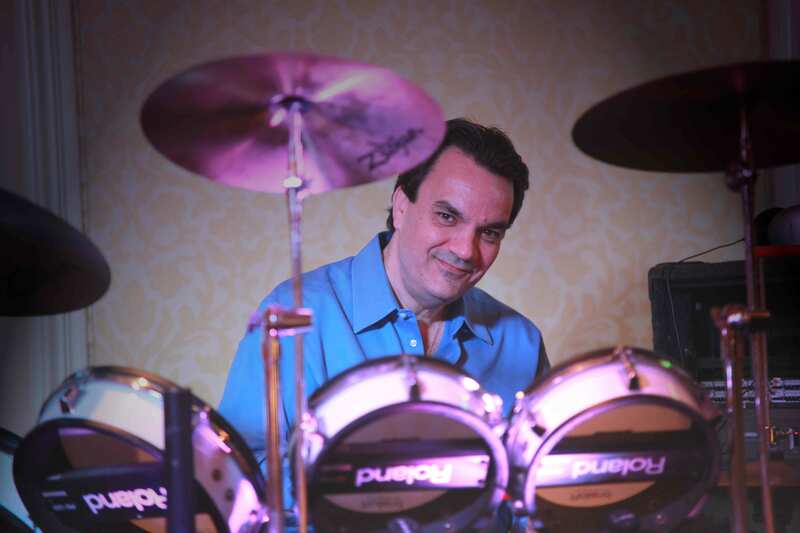 His excitement travels through his drums and ignites the band. The best music with peace of mind. 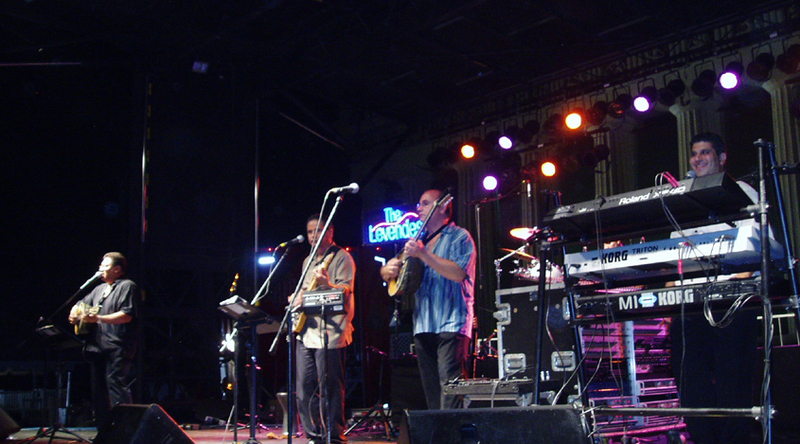 The Levendes have been performing since 1980. 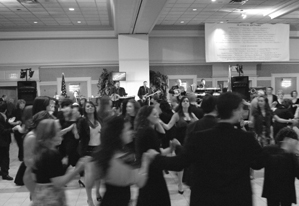 They started playing very young and took the Greek community by storm. experience enables The Levendes to give the crowd astounding performance every performance and gives the crowd what it wants!..when it wants! 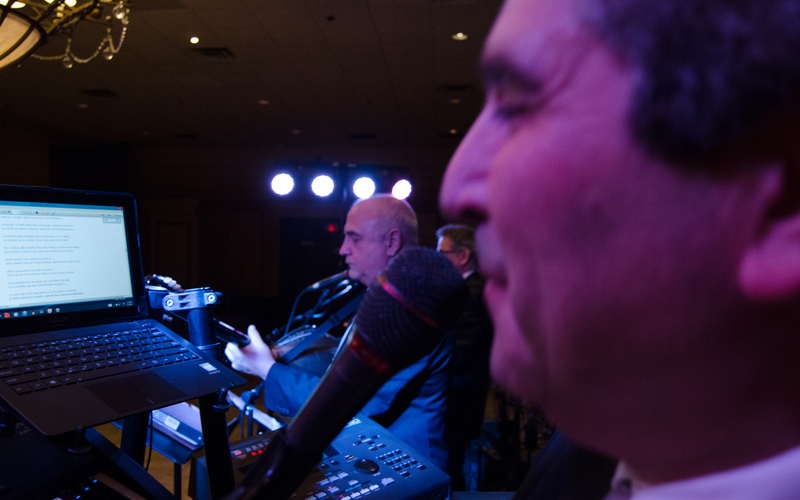 When you book The Levendes for your event, you have guaranteed entertainment for your greek function. the Levendes have never missed an event they have been hired for. This means 25 years, throughout the United States and Canada, The Levendes have a perfect track record and have been the favorite choice of many major events including major greek festivals across the country, national Greek conventions, including national AHEPA, national YAL, national Ikarian, and many, many more. The Levendes can handle all of your announcing and master of ceremony needs. 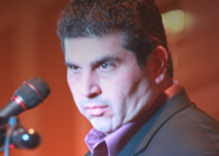 If you have your own Emcee, they will provide a wireless microphone as needed. 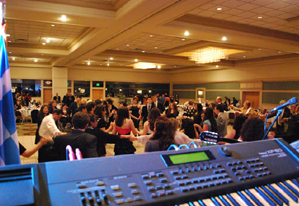 The Levendes also offer professional DJ services. This means that you pick the music and you decide the order, or you can let The Levendes organize the evenings' DJ requirements. If you want a certain song now, you get it now! You can't do that playing CD's like other bands. 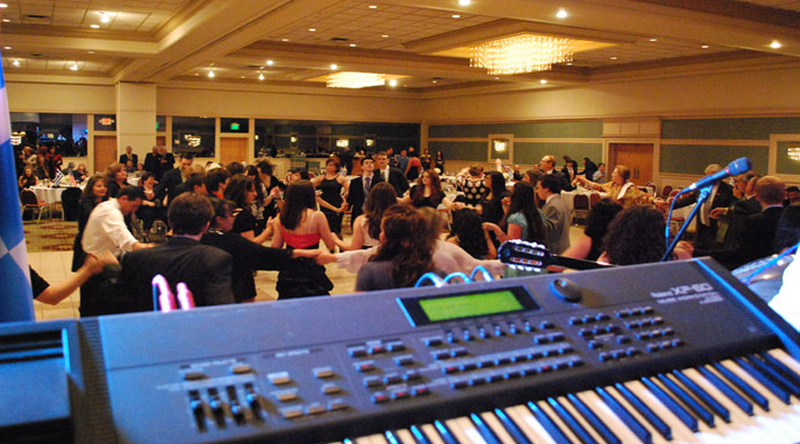 Also, unlike many DJ companies, the DJ service sound comes from the bands sound system. 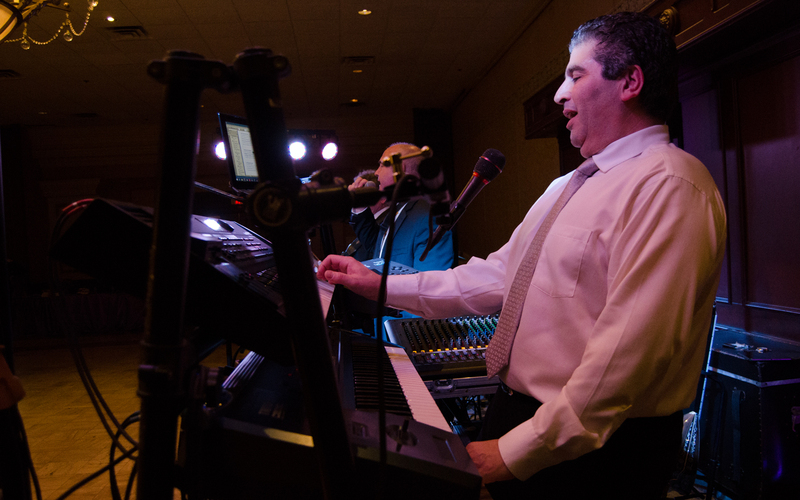 The Levendes offer a full DJ service! 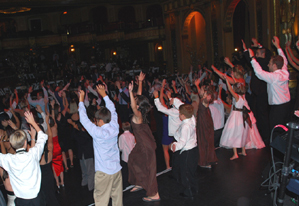 The Levendes are equipped to handle any venue, from a very small party, to a large concert, festival or parade. 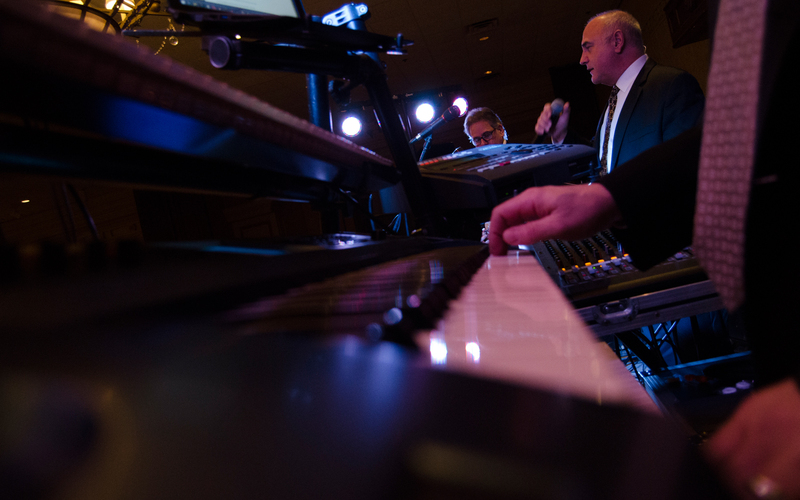 The Levendes have four different sound and lighting configurations to suit your event. Sizes range from a small 2 main speaker system, to a multi channel 12 speaker, 10,000 watt house system complete with light truss stage lighting. This does not mean too loud. 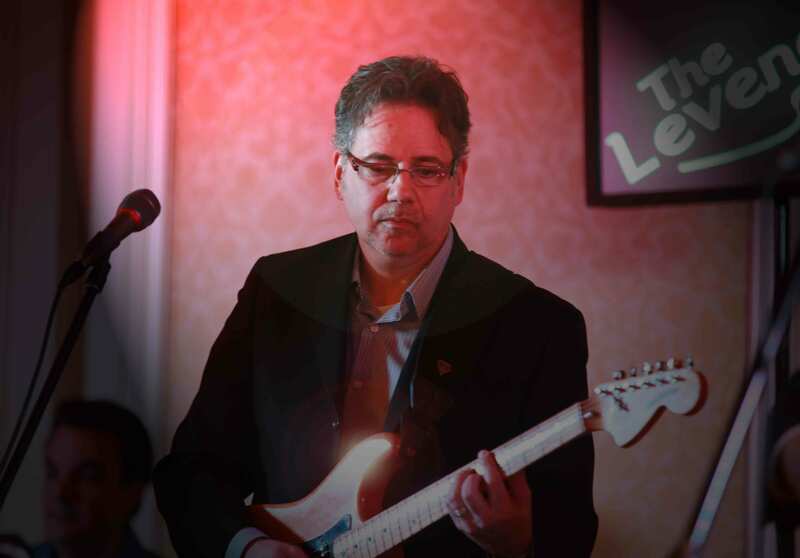 The levendes are sensitive to your needs and will keep the volume at an appropriate level as desired, unlike other bands who under-power and push their equipment beyond its' abilities and therefore produce a distorted sound. 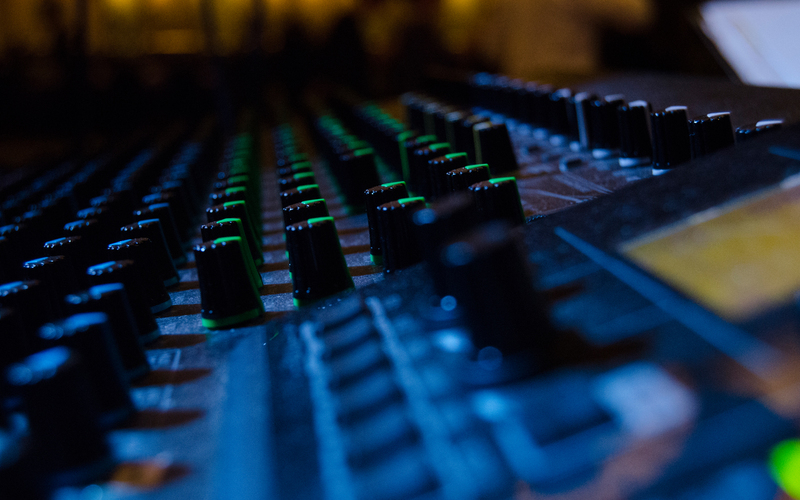 If you are not sure which system is appropriate for your function, our professional sound and lighting technician will work with you and 'enlighten' you. The Levendes have the most pleasing, clearest, sound possible! The Levendes will always dress appropriately and professionally for your affair. Many venues do not require appropriate dress, but you will never be disappointed by appearance of the band. 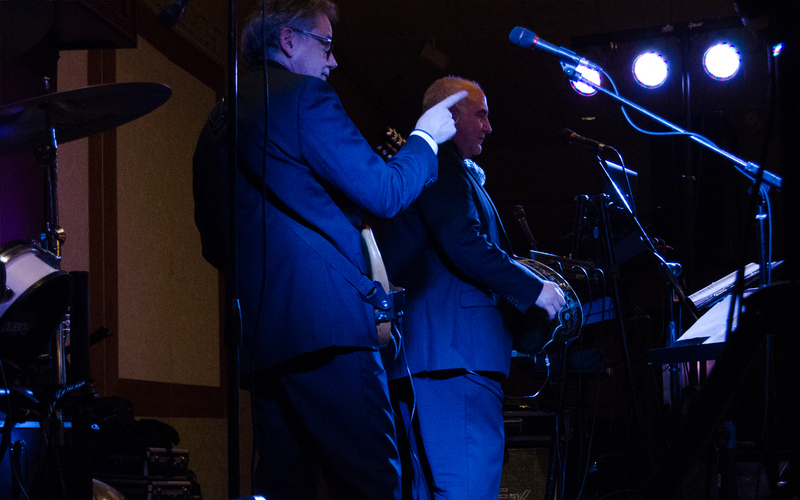 From a festival to the Ritz-Carleton and Peninsula Hotels, The Levendes will always be dressed to impress! The Levendes have an incredible repertoire ranging from the newest releases to Dimotika, Laika, Nisiotika, and everything in between. 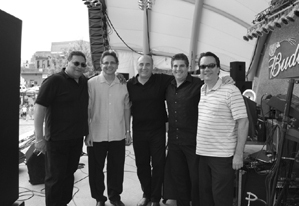 They can handle just about any requests and have performed with many singers and musicians. 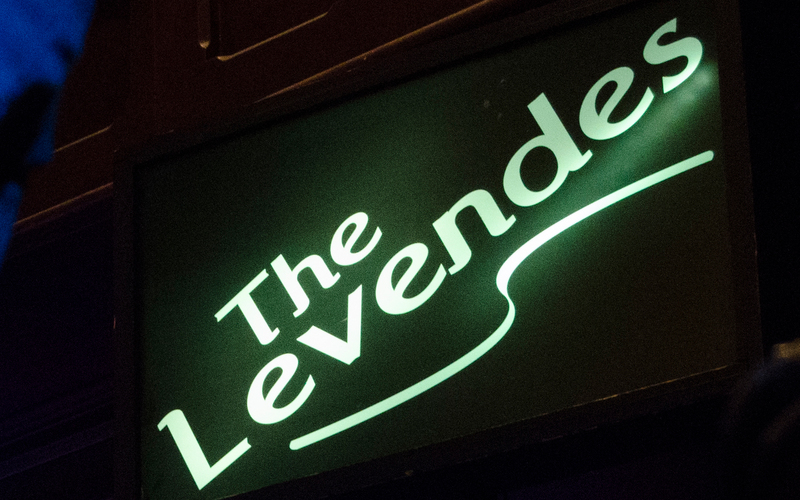 The Levendes are known throughout the country for backing up well known entertainers from male and female singers to violinists and clarinetists. 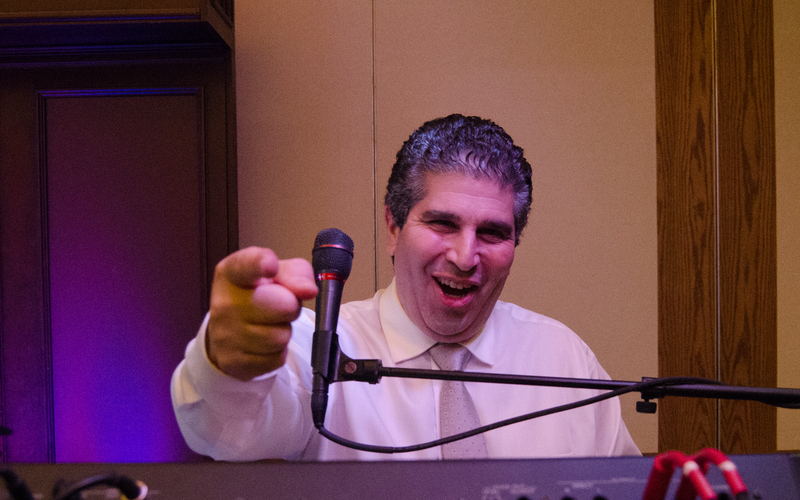 To add that special flair to your function, we can include additional singers, a clarinetist or violinist-just ask! 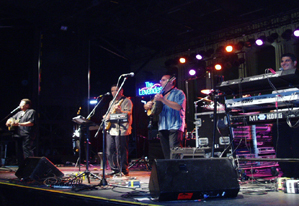 The Levendes have 14 professional recordings to their credit including the only double CD and a DVD recorded by a Greek-American band. 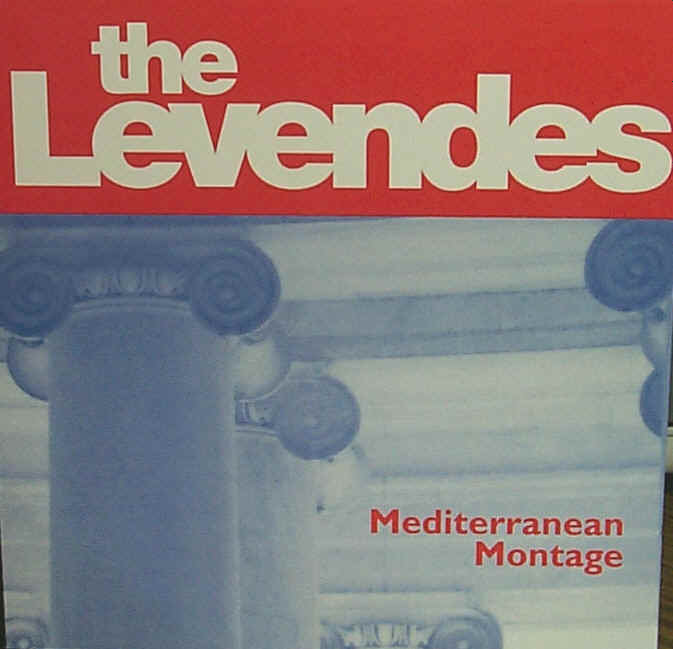 all of the levendes recordings are available on itunes! 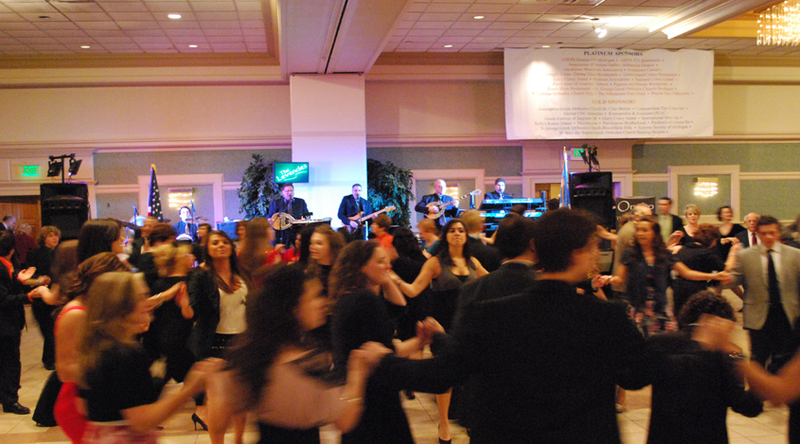 Your best choice for your event! 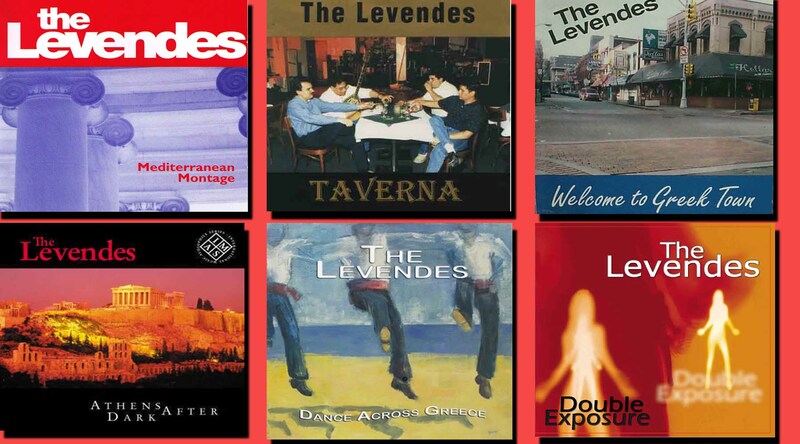 Buy all six Levendes CDs and save big! Only $67.95. Most orders ship in 24 hours!. Order securely with paypal-the fast and easy way. Most orders shipped within 24 hours. 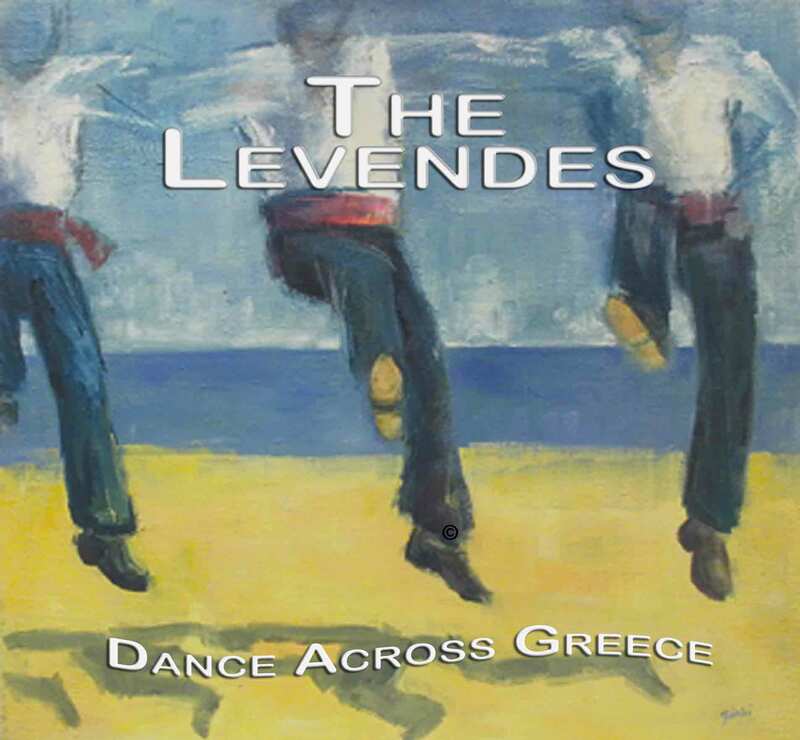 The Levendes, "Dance Across Greece", features over 60 minutes of the most popular Greek songs and dances. This CD represents one of the most professional recordings among any other Greek band in the Americas. Available online and on ITUNES. Click on a song to listen! 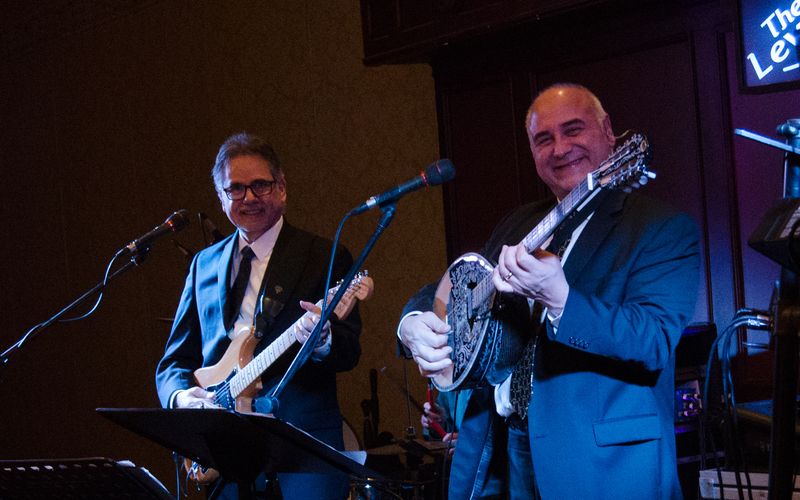 American Recording Productions is pleased to announce the release of the first Greek-American band in the US, The LEVENDES, to release a double cd of classic Greek songs. The CD, appropriately called "Double Exposure", is a collection of 44 Greek favorites guaranteed to please just about everyone. The Levendes have done it again!! The fourth release by this dynamic Greek-American group. 'Athens After Dark' is a compilation of music that consists of traditional instruments combined with digital elements to make a sound so unique, one has to hear it in its' entirety to thoroughly enjoy it. Available online and on ITUNES. Positively one the best projects ever completed by a Greek-American band. The Levendes enhance their sound by including a female vocalist and clarinetist. A dumbek percussionist and an oud player also compliment the arrangements by adding an Arabic flair. 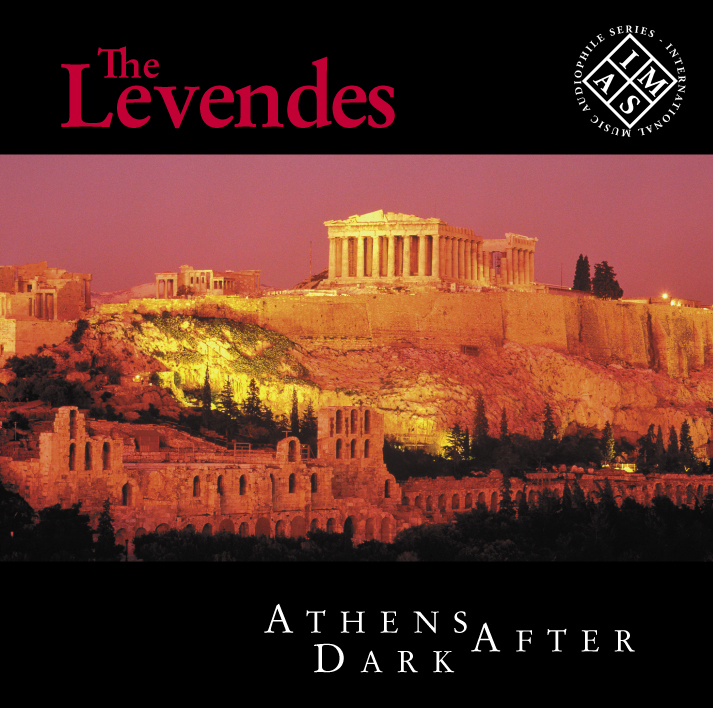 The Levendes second recording available on CD that contains a combination of contemporary Greek hits with some smooth and mellow ballads. This c.d. 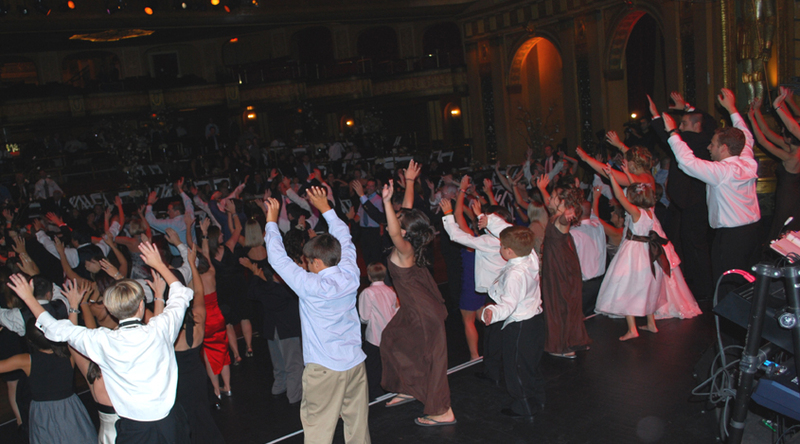 is perfect for listening music as well as dance parties that call for an upbeat sound. 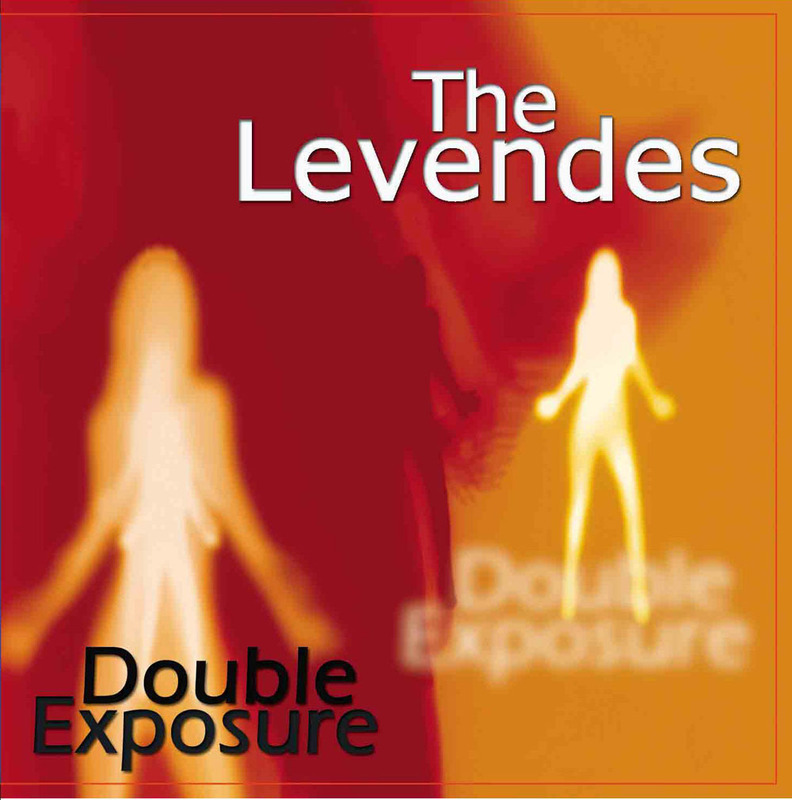 The Levendes first recording available on C.D. 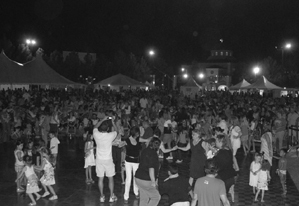 is loaded with various traditional Greek folk Dancing songs. There's also a couple of contemporary Greek songs as well as some of the most popular Greek classics.